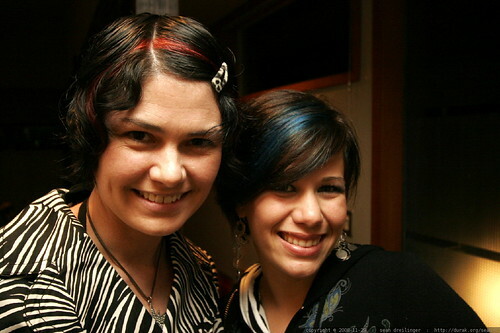 rachel and louise on the way to the herbaliser, sporting complementary red and blue highlights in their hair - _MG_3355, a photo by sean dreilinger on Flickr. Super cute short hair too. view rachel and louise on the way to the herbaliser, sporting complementary red and blue highlights in their hair - _MG_3355 on a black background.